Here in the frenzy, money goes out the door on a daily basis. The frenzy can be expensive. So we have some experience spending money. However, having experience spending money is different than knowing how to wisely spend money. In an earlier post, I talked about gaps in my understanding of how to acquire money, but I had even more gaps in my understanding of how to spend money. It’s something I am still working on. For the vast majority of us, how you spend money is much more important than how you acquire it. It took me a very long time to learn that lesson. The first part of understanding your spending is to understand what type of spending you are engaging in. This is my personal classification, it may not map perfectly for your purposes but you should go through a similar thought process when you spend money. Some expenses cannot be avoided if you participate in the US economy, and since you're reading a blog on a dusty corner of the internet, I'll assume you do. There are very few things in this category. Still you have some expenses that you just cannot legally get out of. These are predominantly charges from our government, e.g. taxes and parking tickets. We all have different exposure to these charges but even if it's an embedded tax in a product we buy, we all likely pay something to the government. We all have physiological needs that we must meet. We need food and water. We need shelter and sometimes we need medical care. Maslow's hierarchy sets this at the base of the pyramid. But there are vastly different amounts of money that we can spend on these basics. At some point it crosses from need to comfort and from comfort to luxury. 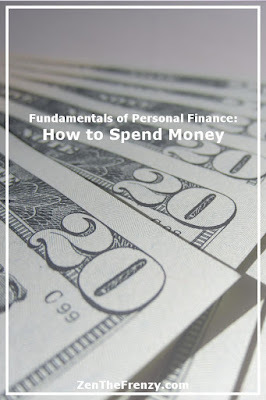 You should identify what part of your spending is for these essential needs. If you need medication to stay alive or functional, that is an essential need. Some part of your food and shelter spending is essential. You need clothing, though there are options to get clothes without spending much money. If you don’t have enough money to cover essential needs and someone gives you money, you would immediately spend it. There would be no question. Spending money on basic comforts gets us ever so slightly past the bare essentials. We could shelter a family of four in a studio apartment, but it's more comfortable to have one or more bedrooms. We could probably form a sufficient diet for health very cheaply, but it would likely result in eating oatmeal and rice and beans every day with very limited variety. Money spent on basic comforts is money well spent. It improves your life substantially. Sacrificing spending in this category is for monks and saints. Most of us will cover these expenses for our immediate family before worrying about spending money on anything else. 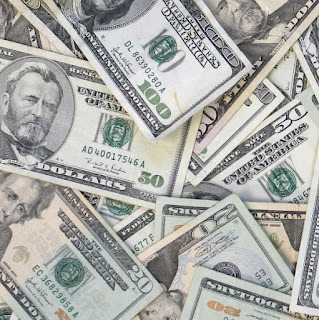 There is money we feel or are obligated to spend. There are different degrees of obligation with different consequences to not fulfilling those obligations. You may have family overseas that depends on money you send back to survive. If you have a mortgage loan you are obligated to make payments or your house will be taken away. You're likely not going to show up at a wedding or birthday party without a present. When your child is selling girl scout cookies or wrapping paper, you more than likely are going to feel obligated to buy a least something from them. Unless your life is astonishingly simple, you have some money you spend because you have an obligation to spend that money. Whether the obligation is contractual or perceived, it's something you have a difficult time not doing. Some money you give away. Whether it's for charity or just a gift to someone who needs help. This could be considered close to an obligation, but there are definitely times where people have given money not because they are obligated but because they want to. It makes them happy. They feel like they're giving back or pushing forward a cause or political agenda that doesn't benefit them but they feel is accomplishing something good. There is money we spend to enable us to make more money. This isn't necessarily investing money. If you live somewhere far out of town without access to public transportation, you may need a car to have a job. You spend money on that car because it allows you to go to a job and make more money. If you spend money on school where there is a specific trade or career in mind, then you're spending money on school to enable you to make more money. This money isn't always spent wisely. And sometimes things just go wrong for reasons beyond your control. Perhaps you started a luxury-based business right before the great recession. Still the intent of spending this money is that somewhere either immediately or down the road you will be able to use a skill or asset purchased to make more money. Some money we spend because it buys us more time. This is the engine of a productive economy. You can buy bread at the grocery store, or you can bake it at home. One of these things takes far less time. You may pay someone to clean your house or to wash your car. In little ways you buy some time that you can use in another way. Some spending is just because we want to treat ourselves. Sometimes it is because we want people to think of us as the type of person who drives a fancy car or has luxury-brand clothes. Spending this money make us at least in the moment feel happier. Or perhaps it helps us create a persona we want represented to the people we interact with. We want the latest mobile phone or TV. It may even make us ridiculously happy every time we use it. This isn't money that is "bad" to spend, it's just not essential that we spend this money. There are alternatives. Some of these are obviously good things to spend money on. Some of them are more frivolous. The important thing is to know what kind of spending you are doing. If you are buying basic comforts then that is likely money that will substantially add to your happiness in life. If you're spending a crazy amount of money on a luxury car, make sure you can afford it and you're not compromising money you will need down the road. I've gone through too much of my life not thinking about my spending. The main question I asked myself was “can I afford it”. I rarely put in much more thought than that. My perspective has changed. I might buy many of the same things, especially when it comes to food, but now I think about what kind of spending I am doing. That is how to spend money. Know what you are buying and why you are buying it.